Georgina graduated from the University of Exeter with a first class degree in Natural Sciences in 2017. During this time, she studied a wide range of topics in science and mathematics and discovered her interest in programming. 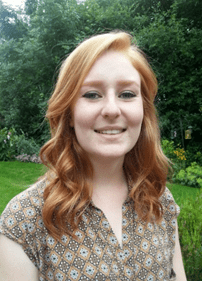 In her final year project, she chose to work on a bioinformatics project with Dr Eilis Hannon in our research group looking at the genetic influences on tobacco smoking. Subsequently, she joined by the Complex Disease Epigenetics Group as a bioinformatics research assistant to support the processing and quality control of genomic and other experimental data.